It may be a few almonds or a fruit, yogurt or simple green or blue tea working women often prefer healthier snacking in officeas compared to men. Majority of women working in any particular office find and believe that healthy snacking is the one and only useful source of energy in the office and even at home. According to recent studies it is found that almost nearly 62%working women would rather munch on a few almonds and fresh fruits rather than a candy when they feel low on energy. Moreover, the same studies showed that as high as 95% working women prefer to have healthy snack at all times, regardless of being at home or in their workplace. 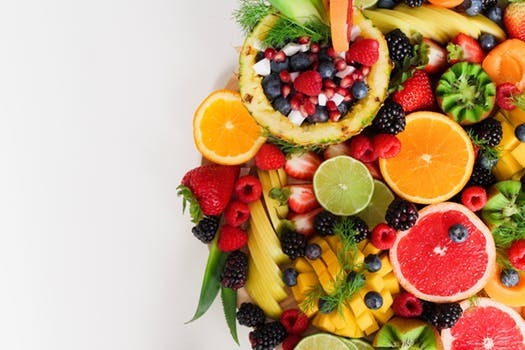 It is also found that fresh fruits and almonds are the runways hits for women seeking energy to work over other healthy snacking options and almost 81% of working women corroborated the same during the survey. When it comes to the comparison of snacking preferences between men and women, it is found that working women of specific age group want their snacks to be healthy and tasty as well as natural and nutritious. Moreover, when other demographic profiles are considered, a paradigm shift towards healthy snacking is noticed across all different profiles. Therefore, such findings indicate a promising trend towards healthy snacking as more and more people especially working women have realized the importance of it. They have realized that it plays a significant role to provide long-term results and value in maintaining a healthy lifestyle that will help them to work more without falling ill frequently. If you are thinking about making such a change all you have to do is make small changes that you will be able to follow. Make sure you replace all nutrient-poor snacks with more nutritious options and good snacks. Even a handful of almonds every day can prove to be the most cost effective investment to achieve and successfully maintain a healthy future. It is the characteristic attributes of women that leads to their concern about good health and good snacks in office. · Ideally, women will not eat anything and everything offered to them for free in a workplace or any other place. They will be more worried about the calorific value of each food they eat much more than the men. · Women will also be very conscious about meeting their daily nutritional needs when they take a food or snack. It is almost as high as 71% of working women who are worried about the nutritional value and their daily needs. · Their hectic lifestyle is another reason that working women are more concerned about the food or snacks they eat. They will need more energy to cope up with the work that they have in office and especially at home when they return from their workplace and thereby they are more likely as compared to men to overcome the longing to eat unhealthy snacking varieties. · Being more aware of a healthy lifestyle, women are becoming more mindful about staying fit and healthy. This they do not only for them but for the overall wellbeing of the entire family. However fast-paced their lifestyle is, women are usually the last one to give in to erratic habits that will lead to deteriorating their daily intake of nutritious essentials and prevent any lifestyle related disorder. · There a few surveys that show that more than 50% of the working women prefer to cook and carry their snack made from home with whatever ingredients available. This prevents them from risking the chances of unhealthy and non-nutritious snacking. What type of food to eat between meals seems to matter most in women than working men as well which is another reason for their healthy snacking habits. When you eat a small yet healthy snack in between your meals it will prevent you from overeating by the time you have the next square meal. You need not always eat almonds and fresh fruits in your office when you are hungry or need to rejuvenate your cells. There are a few other things that you can choose from. · Vegetables with hummus may be some useful office snack. Include celeries and carrots that are easy to make and carry and you can even make these crunchy vegetables even more flavorful by adding a packet of hummus. This is a useful combo that every nutrition expert will love to have. · You can also consider other types of raw nuts such as pistachios and cashews. These are a portable snack that will not melt or spill on your commute. This protein powerhouse will keep your hunger at bay with high level of energy. · Yogurt is another low fat, plain, and nutritious snack that will give you high level of calcium, protein and potassium benefits. This is extremely useful and loved for people who love quitter snacks than those crunchy vegetables or noisy nuts. You will not have to be self-conscious of that loud chomping noise but make sure that you avoid yogurts that are flavored and have a fruit jam at the bottom. · If you are looking for fiber and other nutritional facts that are found lacking in yogurt you can try cottage cheese. According to a recent New York Times profile, cottage cheese can provide twice the protein of yogurts. However, it will have lot more sodium. · Popcorn is another versatile and guilt-free office snack that you can easily have between two meals. It will give you enough fiber, protein, fat and calories.You can go beyond the typical salty profile and dress your popcorn with garlic or chili seasoning as well. · Bananas are very good, cheap, and fiber-filled snack that needs no refrigeration. Widely available, this will give you enough fiber and being easily digestible bananas are an ideal snack especially if you have to deal with your upset stomach at work. Lastly, try apples with peanut butter for fiber, fat and you will be able to stick to this weight losing diet because it is tastier and more satisfying.